Ever wondered does Viviscal work as a form of hair treatment? Read on for my insightful six-month review of Viviscal and discover the answer for yourself now. Six months ago, I decided to take the dive and try out Viviscal professional hair treatment. I was skeptical going in because I didn’t have a lot of success with other hair growth boosters before now. Although my stylist sang its praises every chance she got and it kept popping up in magazines like Vogue and Cosmo, I kept saying no. I’d been burned by all these so-called miracle hair products and I didn’t have the time or the money to invest in another one. Finally, I caved in and took the plunge when Gwyneth Paltrow talked about keeping a steady supply of Viviscal professional hair products. I wanted Hollywood hair, too! The question on my mind was: does Viviscal work? My Viviscal review looks at my six months trial with the product. Basically, I’m going into detail to help you decide for yourself if this product is worth the hype. What is Viviscal Hair Treatment? When your body goes through some changes, it is natural for your hair to take the hit. The most damaging changes come from hormones, stress, harsh environmental factors, age, genes, poor nutrition, and over-styling. All these unavoidable changes impact the hair greatly. 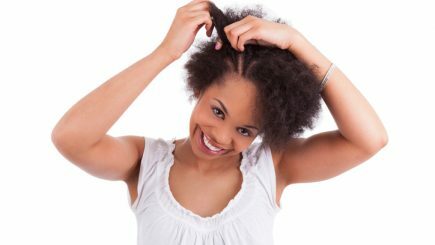 You might find yourself having to battle hair damage, excessive dryness, and shedding. Also, if you aren’t consuming enough of some specific nutrients in your diet, your hair will suffer for it. Does Viviscal work to restore health to damaged hair? Viviscal hair treatment creates a healthy environment for hair growth. When your hair and scalp are conditioned and nourished with the right vitamins and minerals, you can enjoy fuller, healthier hair. There are many amazing testimonials from Viviscal customers in the US and Canada. See for yourself, Viviscal hair treatment really works! Viviscal Professional is clinically proven to give fuller and thicker hair. This supplement is also 100% drug-free. Viviscal works because it is backed with more than 25 years of research by world-renowned hair clinicians. It is unarguable the most researched supplement in the market today. The supplement supplies essential nutrients to your hair follicles through the bloodstream. This helps to boost existing hair growth. What are the Viviscal Ingredients Contained Within this Product? The key ingredients in Viviscal Professional are supported by over 25 years of clinical research. The chief Viviscal ingredient is AminoMar C™ marine complex. Other essential nutrients include Biotin, Apple Extract and Vitamin C. This wonderful blend of ingredients boosts the growth of existing hair, from within. These ingredients work together to restore thing hair if you’re wondering does Viviscal work. This miracle ingredient is derived from vital marine sources. AminoMar promotes existing hair growth from the inside, helping you to grow fuller and thicker hair. Biotin is essential for healthy hair because it helps your body to absorb fats, carbohydrates, and amino acids – the components of protein. When Biotin metabolizes these nutrients, healthy hair growth is possible. This is another wonder ingredient in Viviscal hair treatment. It promotes healthy hair growth by increasing hair density and diameter. This ingredient provides amino acids for healthier hair and skin, which makes it suitable for hair growth. Vitamin C actively fights to defend your cells from free radicals that can damage your skin and hair. L-Cystine is a great amino acid when it comes to getting beautiful hair and skin. It gives great results when it comes to hair growth. Side Effects – Are There Any? For more than 25 years, the research team at Viviscal has worked hard to maintain a formidable safety profile. This is to ensure that the product remains safe for use and to prevent Viviscal side effects. 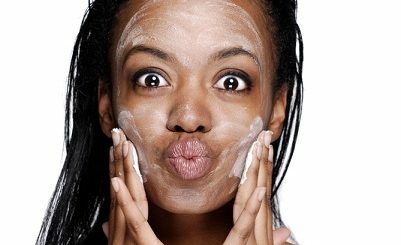 Will it negatively affect your skin? When it comes to skin issues, the advising skin scientist at Viviscal has found that the supplement doesn’t cause breakouts or other skin issues. What is its effects on eyebrows and eyelashes? Viviscal is not known to cause a growth in eyebrows and lashes. What about for people with allergies? Viviscal is not for people who are allergic to shellfish or fish. Although it does not contain Dairy, Soy, Nuts, Eggs or Wheat, which makes it safe for people who have these allergies. The Ingredients in Viviscal Professional are gluten-free. Viviscal Extra Strength contains Millet Seed, and some individuals with gluten sensitivity might find that Millet Seed is not for them. Viviscal products are not recommended for pregnant or breastfeeding women. No. Studies have shown that the product doesn’t cause weight gain. In the very rare cases where weight gain is observed, it is always not significant enough to be a concern. I didn’t ever imagine that I could ever suffer from thinning hair. Once my hair began to lose volume, I knew I had to do something about it quickly. All the products I tried promised to restore fullness but nothing worked. I tried supplements, shampoos, conditioners, and hair serums. It seemed like the more I tried, the worse it got. I even changed my diet and started to exercise, hoping to reverse my thinning hair. That also failed. My problem got worse. I could see my scalp through my hair no matter how much I combed and fluffed my hair to hide the problem. My hairline was receding fast. Apart from the hairline, my hair was limp and lifeless. My favourite hairstyles were no longer possible because of the hair loss. My self-confidence was at an all-time low. I decided to try Viviscal professional because everyone from doctors to stylists to Hollywood stars recommended it. I asked a question: Does Viviscal work? Everyone seemed to think so. My Viviscal results are amazing! My hair is now fuller and healthier-looking. I got my self-confidence back. My Viviscal trial was supposed to last for six months, but by month three I was already seeing major improvements. My hair was growing longer, fuller and shinier. The most amazing result is that my scalp is no longer visible through my hair. Now my hair is even healthier than it was before it began to thin out.